NEW YORK – The Open Music Initiative provides a forum for collaboration across academic, tech and music industry stakeholders around the world, and is working to develop the global standards for music rights attribution that could stand for the next 100 years. Establishing such standards will enable fair compensation to rights holders and creators, and establish a basis for ongoing innovation in the music industry, leading to new digital platforms and services, and new music, according to Open Music members. 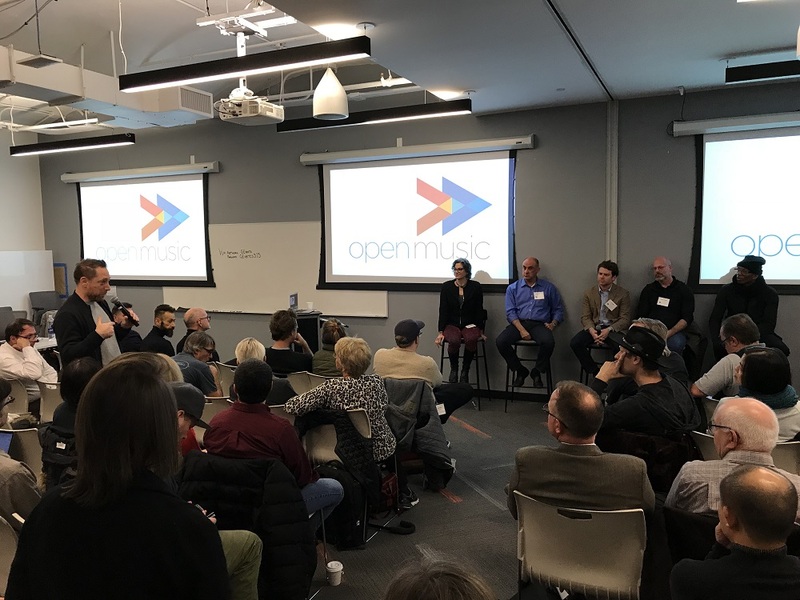 Open Music held its first annual summit in New York from 15-16 November. The summit brought together stakeholders to provide updates on the work being done to develop global standards for rights attribution, and to provide a forum for stakeholders to dialogue and plan Open Music’s next steps. Open Music Initiative (OMI),“a non-profit initiative of leading academic institutions, music and media industry organizations, creators, technologists, entrepreneurs and policy experts,” is working to create “an open-source protocol for the uniform identification of music rights holders and creators,” according to the Open Music website. Panos Panay, vice president for innovation and strategy at Berklee College of Music and co-founder of Open Music, announced at the summit that Open Music has been invited to speak at the World Economic Forum Annual Meeting in Davos this January. “I think it’s a massive platform … to advance what we’re doing as an industry, and really get in front of the policymakers on a global basis, to really do this,” he said. This push by Open Music for rights attribution standards follows the landmark Music Modernization Act (MMA) legislation passed in the United States (IPW, Copyright Policy, 12 October 2018), which streamlines the process of licensing music for digital distribution and authorises the creation of a mechanical licensing collective (MLC). The MLC will oversee the process of distributing royalties from these licences, which will be made possible by the creation of a single “public database that identifies musical works with their owners along with ownership share information,” according to a Copyright Alliance summary of the act [pdf]. Structuring this MLC public database according to a global standard for rights attribution would help to establish the basis for global interoperability of rights information across music platforms, Open Music explained in a white paper, Why Success of the Music Modernization Act Depends on Open Standards. “With the establishment for the first time of a legal framework [through the MMA] authorizing a single comprehensive, accessible database that connects copyright owners of both sound recordings and compositions, the industry can move to a new phase: one in which rights holders’ data can be secure yet interoperable across databases, systems, and applications through shared, open standards,” the paper explains. “We think that the industry has to come together as a joint ecosystem rather than a patchwork of different silos to really help create what I think is a shared future,” Panay said at the summit. It is important to have open source standards for music rights attribution in order to allow all stakeholders to freely apply these standards without owing any royalties, and as such, it is important that these standards are “something we all agree to, to make things more efficient,” Stephen Buckley, executive director of MIT Connection Science, argued at the summit. Another way that was suggested to think about how these music rights attribution standards will operate is to compare them to those that make airline flight information accessible around the world in real time to travel agents and a host of online platforms. 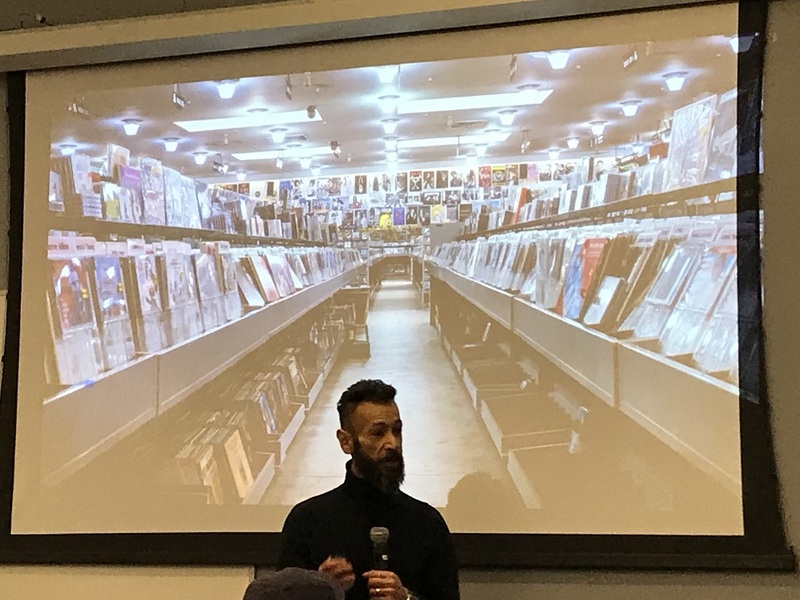 George Howard, lead researcher at Berklee College of Music and founding member of Open Music, explained at the summit that in the 1970s and 1980s, flight information was stored on a number of separate databases, and travel agents did not have access to all of this information. This all changed with the introduction of a standardised protocol for flight information called Sabre, which standardised flight information according to a single protocol, and enabled the interoperability and accessibility of flight information by the full spectrum of travel agents and online platforms, he said. The answer to Open Music standardisation, Panay explained, is not for computer scientists to simply write the code, but to facilitate their collaboration with the music industry. The music industry “is not at lack of standards, but there is a lack of consistent implementation of those standards,” he said. At the summit, Panay highlighted the importance of basing new open source standards on existing ones. He proposed exploring the possibility of basing the Open Music standard on DDEX, and along with other Open Music members, set up a working group on the spot to begin exploring this option. The goal of interoperable standards for music rights attribution is not just about more efficient licensing for distribution platforms, but it really comes down to more fairness in compensation to rights holders and creators. This category of rights holders and creators includes the rights owned by record labels, as well as those held by individual musicians and songwriters. Graphically represented, the distributional curve of rights ownership has a very long tail of independent musicians, Hank Shocklee, music producer and president of Shocklee Entertainment, told Intellectual Property Watch at the summit. This push for global rights attribution standards, and the technology that will drive them, will make a huge difference for young independent artists to be recognised for their work, and to be fairly compensated, he said. In terms of new technology, Shocklee noted at the summit that rights attribution information can already be embedded in the audio files at the time of recording. Artists need this new technology to be integrated into widely available tools “so they can just go in and make this thing ridiculously simple and easy for them,” he said. Large performance rights organizations (PROs), such as SACEM in France, are also beginning to use new technology, and processing power in particular, to keep better track of royalties due to the artists they represent, Caroline Champarnaud, director of international development at SACEM, explained at the summit. SACEM (Society of Authors, Composers and Publishers of Music) is the first PRO ever, founded in 1851, and is currently the world’s largest, representing more than 164,840 creators and publishers, and serving more than 500,000 clients with more than 121 million works, according to the SACEM website. “Electronic distribution of music and advances in the streaming market have led to rapid growth in the amount of creative content being consumed around the world. Last year, SACEM tracked nearly 982.5 billion download and streaming transactions – almost twice the 2015 total,” according to a press release. In order to better track such large volumes of online music transactions, Champarnaud explained that SACEM partnered with IBM to develop URights, an innovative platform with the processing power to handle the massive volume of these transactions, and to properly identify rights holders and distribute royalties. “The [URights] platform will allow SACEM to provide additional value to rights owners with increased data analysis allowing more transparency and a more efficient identification of online works to help ensure they are compensated fairly,” the release said. Martin Guillaume, vice president of Cognitive Process Services, Telecom and Media at IBM, explained that the URights platform was collaboratively built with SACEM over 2 years, and has been up and running for the past 6 months. Now that it is functioning and operational, Guillaume said that it will take much less time, perhaps a few months, to adapt and apply it to other PROs. "Open Music Initiative: Seeking To Drive The Beat On Global Standards, Rights Attribution" by Intellectual Property Watch is licensed under a Creative Commons Attribution-NonCommercial-ShareAlike 4.0 International License. While such standards are certainly welcome, I still don’t understand how appropriate validation is going to work or how comprehensiveness is going to be achieved, considering the fees. If I’m a keyboard musician on a session and I have my data entered, that’s all fine and good, but what happens when the artist takes the track to another studio and re-records the organ with someone else and they enter their data? Who decides the actual credit and who is responsible for getting it right?